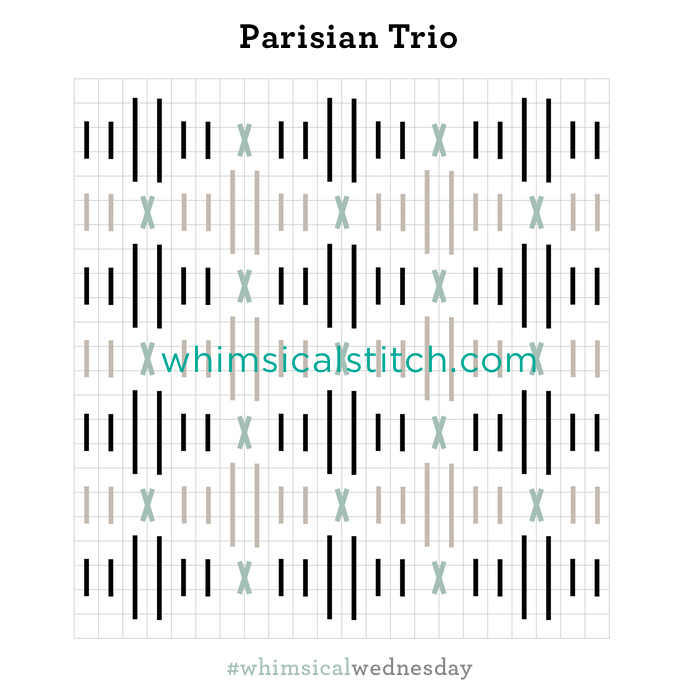 It's always fun to see how the same base stitch looks with different fills. 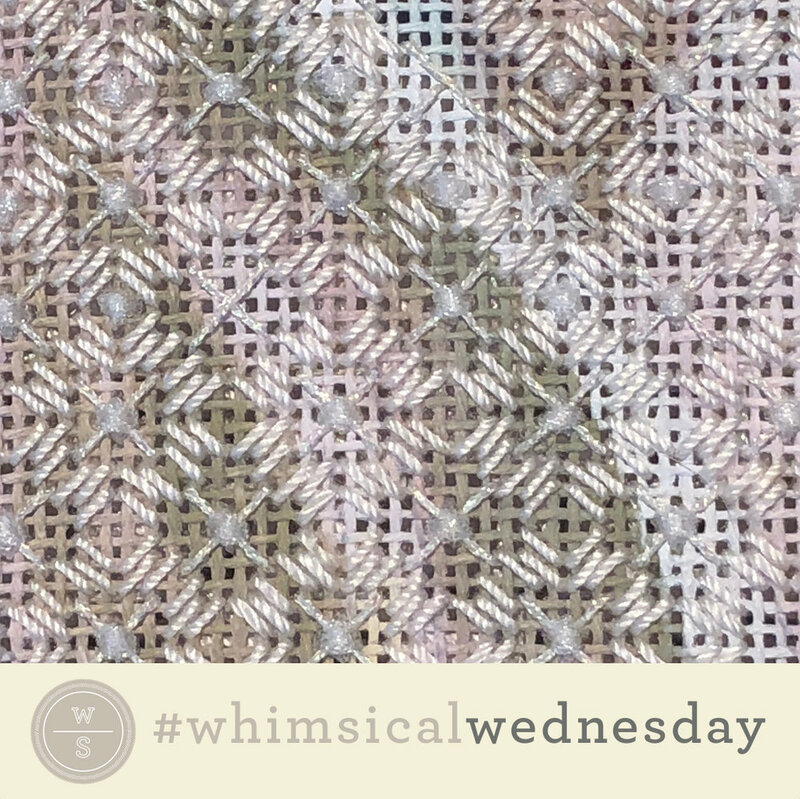 Today's stitch is a distant cousin of one of the early #whimsicalwednesdays. 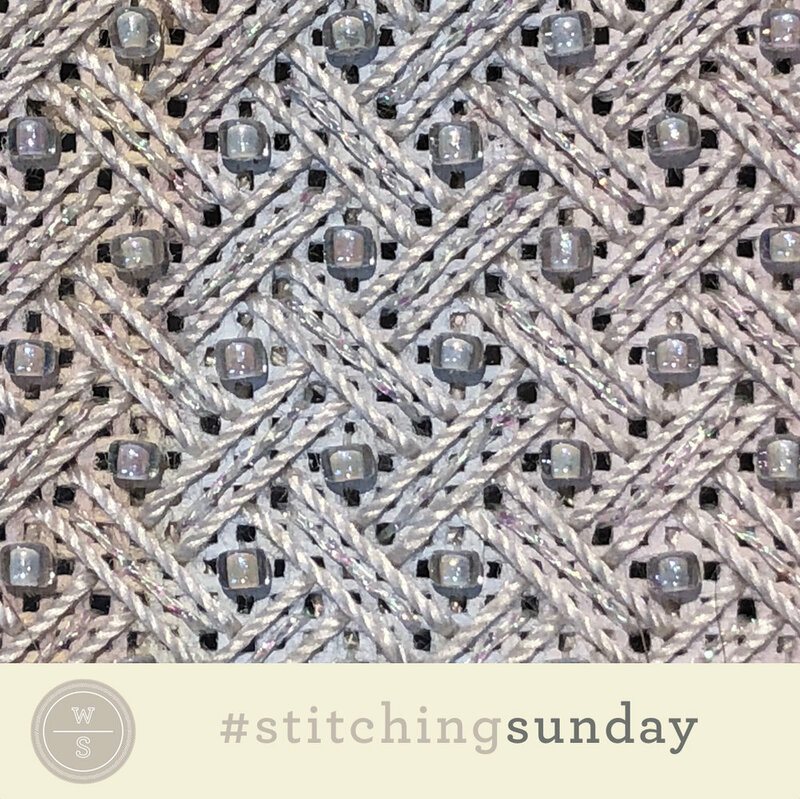 Today's stitch is the "just right" between full and empty in the center. Truth be told, all choices are great. 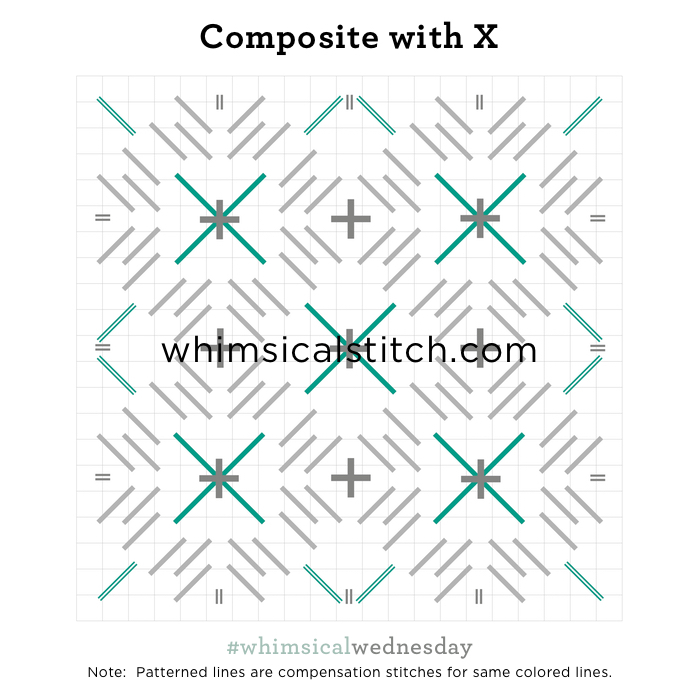 The common denominator between the two versions is the double diamond (with stitches over five rows on all sides). Today's stitched sample is from a large floral. As you can see, it draws attention to the beautiful shading. 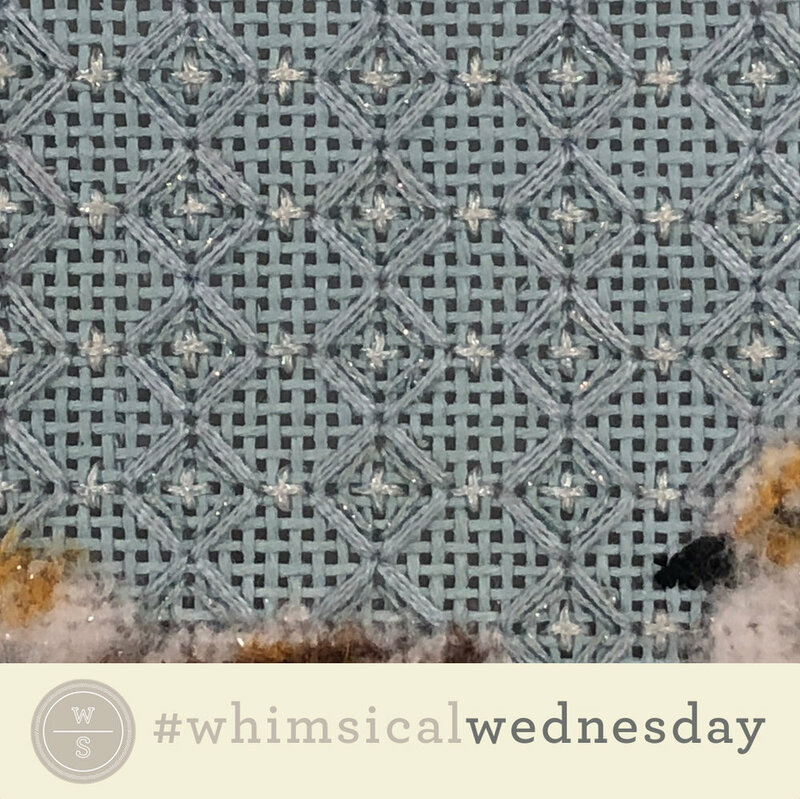 It uses Trebizond Silk (turquoise lines), Kreinik Metallics Fine Braid (#8) (dark gray lines), and a Sundance size 11 bead (aqua circle). I chose lighter threads with an open stitch to draw attention to the shading yet still offer an interesting pattern in the larger area. As mentioned in the first post, I love these large diamonds as background stitches. They add visual interest, yet are subtle. For backgrounds, I like to use a Perle cotton, such as DMC or Prescencia Perle Cotton size 8 on 18-mesh and size 5 on 13-mesh. More often than not, I add a Smyrna Cross in a subtle metallic to the 2X2 intersection and then play with the inside of the diamond with some sort of metallic.